UITS worked with Google to fix the problem of sending email to some student accounts, and the issue is now resolved and service is restored. Departments or individuals who sent important emails to students between 1pm EDT Friday, June 22, and 12pm EDT Tuesday, June 26, should consider resending those messages for which they received a failure to send notification. New travel and expense system coming soon. Do you hate pre-trip authorizations? Does currency conversion boggle your mind? Do you lose your travel receipts before you can scan them? We have some good news for you! If you have any questions or concerns, please contact recharge@iu.edu, or visit https://uits.iu.edu/projectrecharge. Many tech courses meet IU's general education requirements. No matter what your major is, being tech-savvy will give you a competitive edge. Almost every company needs employees with technology skills, and IU has plenty of classes to help you further your knowledge. The Center of Excellence for Women in Technology (CEWiT) has compiled a searchable list of tech courses that meet IU's general education requirements or graduation electives. Looking for a course with no pre-reqs? Check out their list of 100 and 200 level courses. 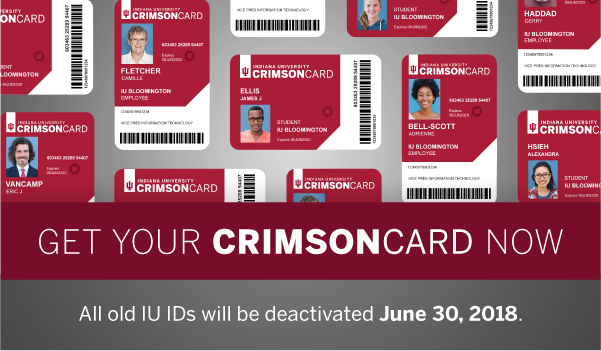 To enroll, talk to an advisor or log into the IU Student Center. Additions will help save time and cut down on plagiarism. Multicourse Announcements—save time by posting announcements to multiple courses. Look for this option in the Canvas Announcements tool, or add it to the course navigation menu in any Canvas course site. No-cost tech summer camp for students in grades 7-12. Is your teen looking for something to do this summer? Interested in technology? Sign them up for Ready, Set, Robots!, a free summer program hosted by UITS Research Technologies. Over two days, participants work with researchers and tech professionals from around IU to learn skills needed to program LEGO® Mindstorms® robots, then show off their skills in an exciting Robot Grand Challenge. Spots are still available in the beginner and advanced camps—sign up today! "The ROI Podcast" discusses state's desirability for tech firms. In its 51st episode, the IU Kelley School of Business' "The ROI Podcast" features a 17-minute interview with Governor Eric Holcomb. Phil Powell, associate dean of academic programs for the Kelley School at IUPUI, conducted the interview from the governor's residence. Recent episodes of the podcast focused on tech growth in Indiana—the conversation with the governor built off that topic, highlighting the increasing role of technology in the state and the cultural and economic environment attracting tech firms to the area.